Ethiopia Habtemariam (left) has been promoted to senior VP of the storied Motown Records label. 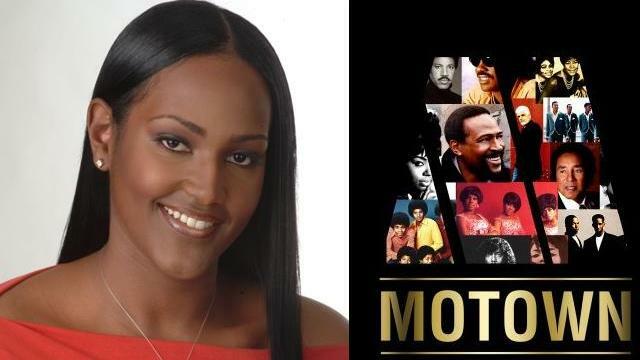 New York (Tadias) – A young Ethiopian American music executive has been appointed as the new head of the legendary Motown label now owned by the Universal Music Group. The company has named Ethiopia Habtemariam, 31, senior vice president of Universal Motown Records. Ms. Habtemariam will also serve as Executive Vice President and head of Urban Music for Universal Music Publishing Group. The promotion will make Ms. Habtemariam one of the most prominent women, as well as one of the most influential blacks in the music idustry. She follows in the footsteps of Sylvia Rhone, one of the most powerful women in the field and the first black woman to lead a major record company. Ms. Habtemariam, who began her career as an intern at LaFace Records in the 90s, is credited for signing publishing deals for artists such as Justin Beiber, Ciara, Polow Da Don, Chris Brown and Ludacris. We congratulate Ethiopia Habtemariam on her accomplishments. wow it is a great achivement to reach such a place! Good Luck for the rest of your Career! This is what I am talking about! An abesha as head of MOTOWN? wow, incredible. Congratulations! I like her name too! Gobez yene konojo and good luck in your new job! This is an amazing accomplishment at such a young age and I wish Ms. Ethiopia Habtemariam all the best in her new endeavor. Motowwn’s roster of historic singers are some of my most favorite, as they are the favorites of most people in the world, such as Stevie Wonder, Marvin Gaye, Erykah Badu, The Jackson 5, The Supremes, the list goes on… Congratulations are in order. This is the deepest congrats from back home!!! if at all there should be an inspiration to all the young ladies up here, this with out doubt should be the one!!!! ETHIOPIA, i just hope to see you march up forward and be the president of Motown and better yet Universal Music Publishing Group or other. You’re a real motivation!!!! zis is a great achievement. you are one good role model for all of black women. You deserve it! Congratulation! Ewnetem Ethiopia. You are a great motivation to All women and men of Not only ETHIOPIA but to the Whole WORLD. I am proud of your accomplishment at such a young age. You are going to be a good example to our Ethiopian and Ethiopian American children. What a great achivement my dear. ur on the right track..
Amazing accomplishment. We’re proud of you ! I work with your dad at Tuskegee University. Wow, I say Congrats too, my beautiful Ethiopian sister? Good God, you look like my beloved late mother as well. Keep well and take care.